Leaves are falling, or have fallen. 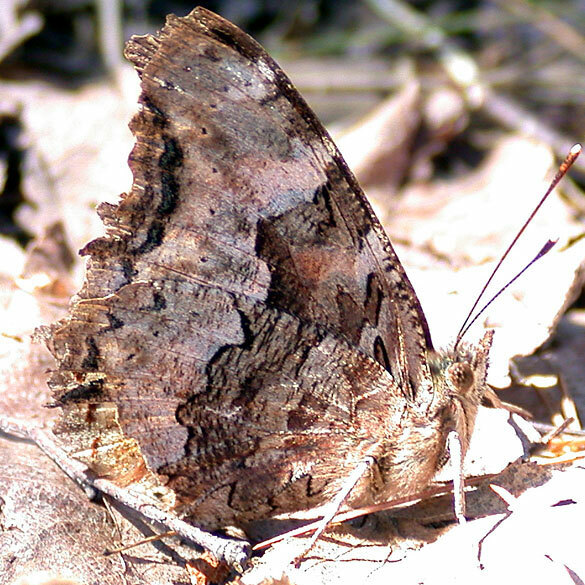 The ground in wooded areas is a kaleidoscope of colour. That corky layer we mentioned in early October has done its job – an adaptation to the increasing darkness, and “drought” that is coming when the surface- and some groundwater freezes. Keep an eye out for what trees are still clinging to their leaves. 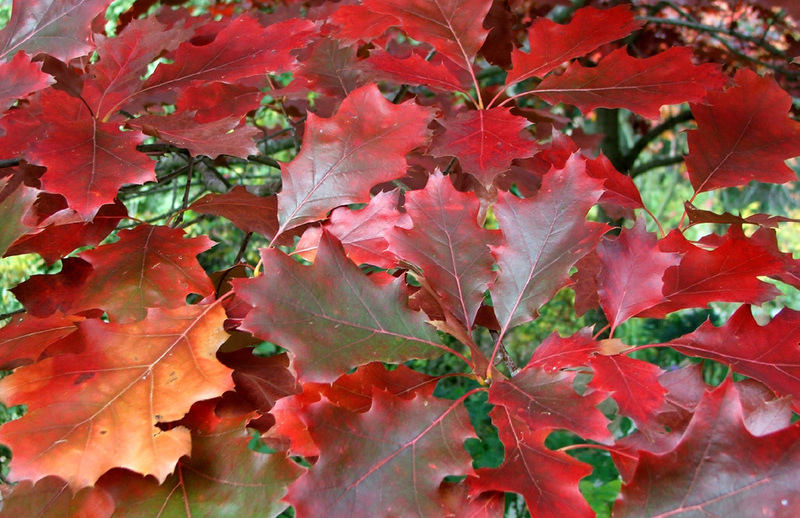 Among natives, there may be young American Beech, Sugar Maple, and Ironwood, and mature Red Oaks, Silver Maples, and Tamaracks. 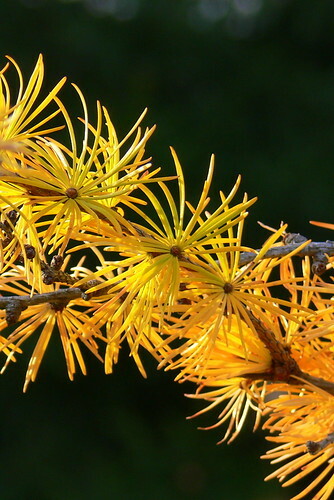 Tamaracks (or larches), our only conifer that drops its needles in the autumn, in particular are bright yellow beacons along the edges of now-drab wetlands. 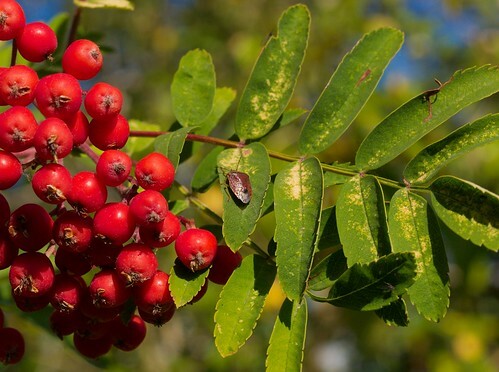 And just as exotic or introduced species may have turned colour later, they will also drop their leaves later. See if any Norway Maples (often dotted with tar spots ) or Common Buckthorns are still holding some leaves by Remembrance Day, or later. Also compare the amount of leaves still on trees in and outside of town. 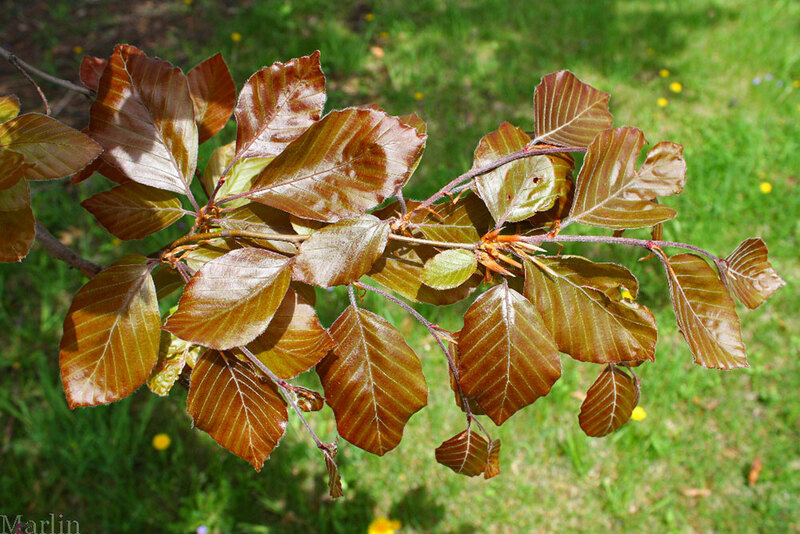 Most city trees, especially ones near streetlights, tend to hold their leaves longer than wild trees. And if you can get to a fairly diverse woodlot, or even a playground surrounded by several different kinds of trees, have your kids each collect as many leaves as possible for 20 seconds or so, and then sort them into similar piles. See how many different kinds of trees there are, which tree has the biggest pile of leaves, count and graph, compare and contrast, do rubbings…whatever! 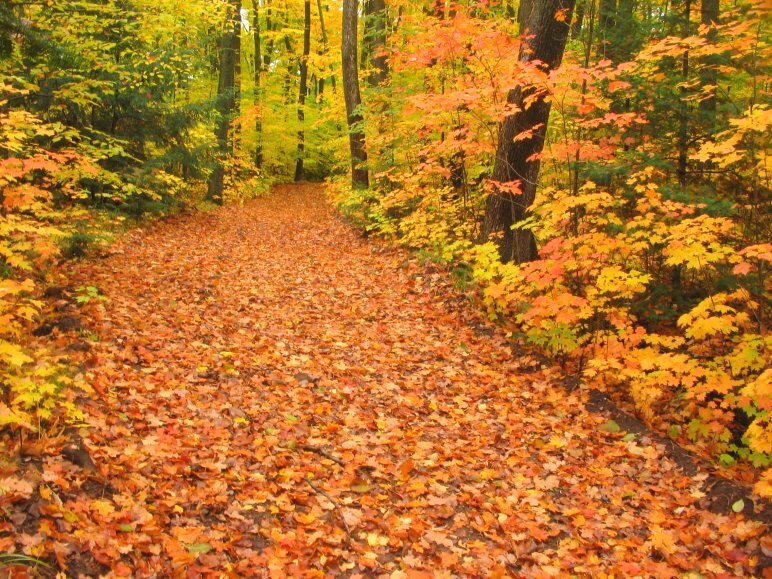 See which nearby tree holds its leaves the longest, and when the very last leaf falls. Most Common Loons in their winter plumage are departing (the adults before the juveniles) for coastal waters, to be replaced by Common Mergansers coming down from the north. 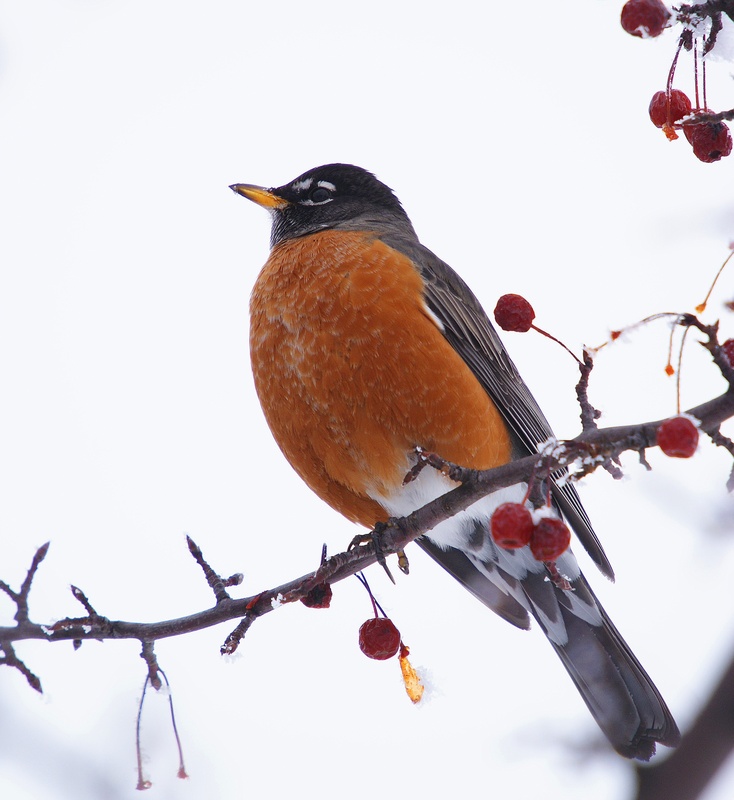 The last American Robins also depart, but some may stay around if there are enough fruits from European Buckthorn, European Mountain Ash, Riverbank Grape, and crabapples around. 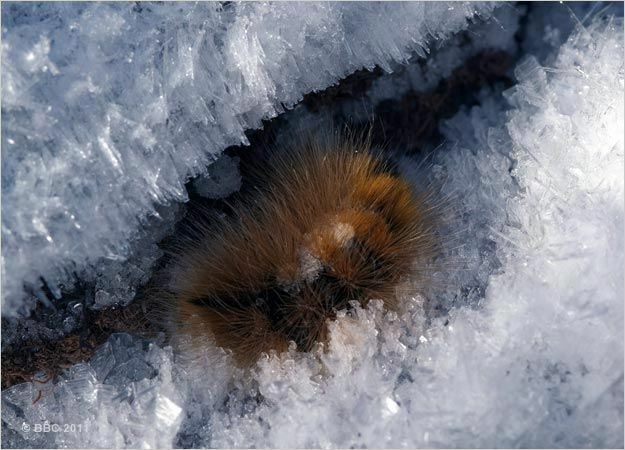 So keep an eye out for those red breasts, and see if you spot any remaining through the winter. Those Monarch Butterflies that we all saw in early September are just now arriving in Mexico where they will over-winter in pine forests of the Sierra Madre mountains. You can now view their fall migration over time on the Journey North website. 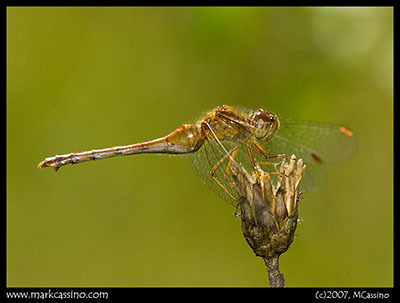 If you’re lucky, you may still see the odd dragonfly or butterfly, most likely the Yellow-legged (Autumn) Meadowhawk (dragonfly), Clouded Sulphur and Compton Tortoiseshell (open; closed). 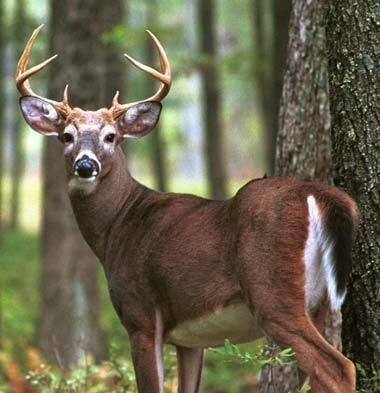 White-tailed Deer bucks are “in rut”, or at their sexual peak. At this time they are very aggressive, and should be viewed only at a distance. 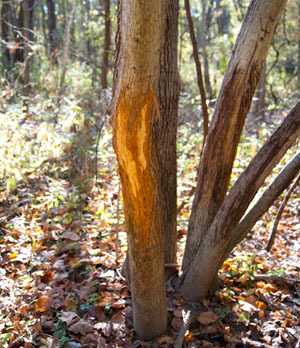 Look for antler rubs on saplings and small trees – they are smooth instead of tooth-marked, and carry scent signs. They will also scrape away the leaf litter with their antlers, and urinate on their hind legs so that the urine passes over glands which carry scent down to the cleared ground. Look for hoof prints as well in these scrapes. Deer are very active at this time of year, and November has more deer collisions than any other month. Slow down in deer country, especially at dusk and at night. Brook Trout (actually a char), whose colours we began to admire in mid-September, are spawning. They prefer places where groundwater wells up, but also spawn over gravel substrate in shallow headwater streams. Lake Whitefish are the last spawners of the season, spawning when temperatures drop below 8ºC in shallow waters usually with hard or stony bottoms, but sometimes sandy. Lake Whitefish is one of Canada’s most commercially important fish species. Ontario readers can learn more about some of Ontario's fish species through this year’s Kid’s Fish Art Contest for grades 4-12, with chances to win great prizes! November can be drab and dismal, and it may seem that it’s always raining. However, the total precipitation for November in Ontario is less than 8% above the monthly average, and it has about 14% more rainy/snowy days. Precipitation & temperature conditions as we move through November into winter in different parts of Canada can be found here. Keep track of rainy/snowy and sunny November days, and see which “wins” this year. Go out and enjoy the first snowfalls! The woods are indeed quiet now, but not silent. Listen carefully on calm days and you may hear the soft chirps and squeaks, barely audible by humans, of the Common (or Masked) Shrew. They are believed to use echolocation (similar to bats) to navigate and explore objects. Here’s some great video of the European analog to our Common Shrew. The South Taurid meteor shower (page down), debris shed by Comet 2P/Encke, peaks around Nov. 4/5, and there will be little moonlight to spoil the view.